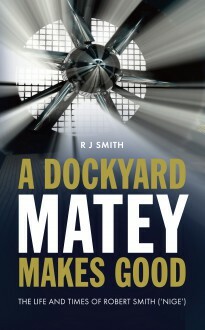 In his first book, A Dockyard Apprentice’s Story, Robert Smith (‘Nige’ to his mates) told of his formative years as a young trainee in Chatham Dockyard, where he trained as an engine fitter and turner. The Technical Progressman was set in the 1960s, taking up the story from the point where Bob transferred to the Weapons Section as a Technical Progressman. Now Bob has added a third and final part, about his post-Dockyard adventures working with the Royal Aircraft Establishment (RAE), and in posts with the MoD and Government agencies, and published the whole story in one volume. The full story of his career is packed with interesting stories, and Bob’s sense of humour shines through.